After the launch of economic giant smartphone termed as “Xiaomi’s”, this beautifully crafted Xiaomi Mi 3 sold in India like hot cakes. Now Xiaomi’s is focusing of its new range of hand gears, just like iWatch by apple, Moto 360 by Motorola for Moto X devices. 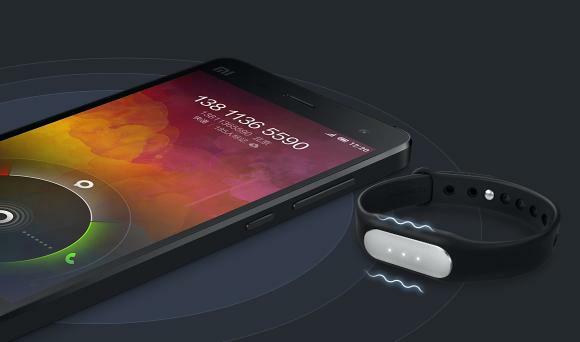 Yesterday, Xiaomi not only introduced the new flagship phone Mi4, but also a fitness tracker. The Mi band looks very simple and it doesnt comes with any display.It is a bold step for the company to enter the wearable market, but with their aggressive pricing strategy they are mostly likely to sell out within hours. Xiaomi Mi Band is Ultra cheap. The Mi Band, is just like Nike Band that tracks the movement (walking or running) plus sleeping pattern, and you can also use it as a smart vibrating alarm to wake up feeling better. Interestingly, a single charge on this waterproof device will last up to 30 days, which easily beats its competitors that tend to last for a week or less. Xiaomi Mi band is Equipped with an aluminium surface with a micro laser perforation and no display screen and it is completely water resistant with IP67. Once paired with the smartphone, the Mi Band can be used to unlock the user’s smartphone without typing a password or patterns. 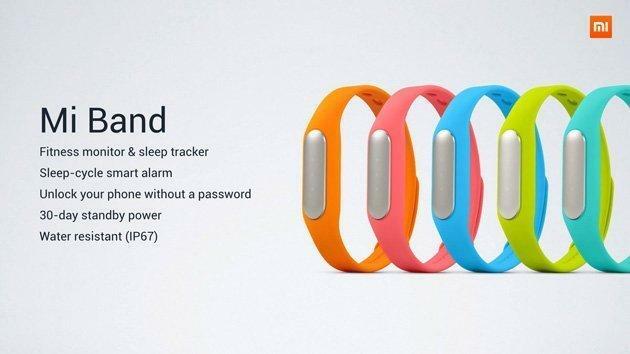 The Mi Band will be available in range of colour variants including Blue, Pink, Brown, Black, Purple and Grey.